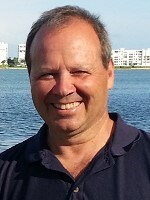 Mark Lepzinski has been involved in Real Estate since 2004. He is currently the President of Structured Deals. During this time, Mark has completed hundreds of wholesale transactions which included land, condos, single-family houses, multi-family property, apartments, storage units, and a cell tower. Mark has become an expert at “out of the box” transactions and creative deal structuring including subject-to, sandwich leases, wraps, seller financing, and note sales. Currently, Mark is involved in real estate investing and consulting, wholesaling, working with off-market properties, turnkey rentals, portfolio properties, joint ventures, introductions, negotiations, and exchange.